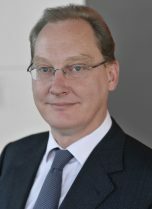 Erik van Duijvenvoorde is a partner at Accuracy. He is based in Paris and London, the latter an office that he jointly leads. Erik has advised clients on business, economic, transaction, accounting and valuation issues for more than 25 years and specialises in the expert assessment and quantification of complex damages. Erik is listed among the leading arbitration expert witnesses worldwide in Who’s Who Legal Arbitration. He wins “international praise for his exceptional expertise handling arbitration-related valuation matters” and scores highly for “the quality of his insightful and persuasive testimony”. He is one of only a handful of people also listed by Who’s Who as an expert in Forensic Accounting, Forensic Investigation, Quantum of Damages and Mining. Truly international in profile, Erik has lived and worked in France and the UK and has successfully led cross-border engagements in Europe, the Middle East, Africa, Asia and North America. Erik speaks English (native) and French (fluent). Erik has been engaged as an expert in the English High Court, in international commercial and investor-state arbitration cases, and likewise on large forensic accounting and fraud investigations. He has testified on numerous occasions, including before ICC, LCIA, NAI, DIFC, ICSID and UNCITRAL arbitration tribunals, as well as before the New York Bankruptcy Court and the Courts of the Dubai International Financial Centre. He has also acted as expert on large cross-border transaction due diligence investigations. Erik has worked on projects in a range of industry sectors including mining, energy and construction. He acts as expert in a wide variety of dispute situations, including in relation to commercial and joint venture agreements, expropriation, market eviction and M&A. His previous experience working for a private equity fund and the Transactions team of a Big-Four accounting firm makes him particularly well placed to act as an expert in investor, transaction and shareholder-related disputes.